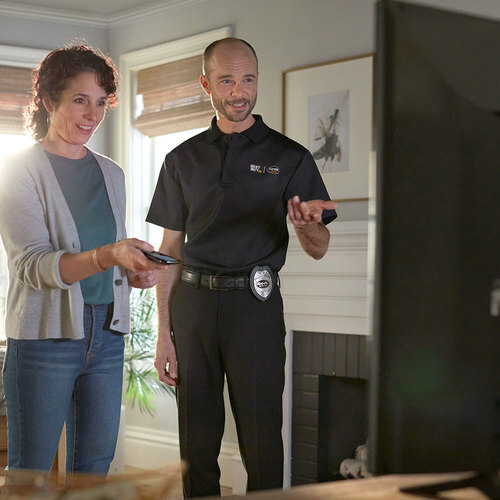 Have a Geek Squad Agent quickly and professionally mount and secure your TV to a wall and connect your TV to your video components. 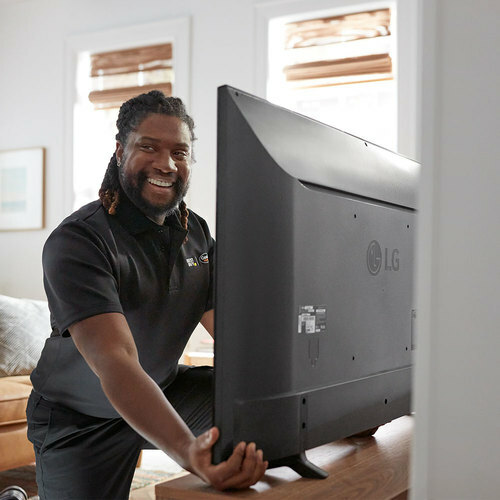 We'll also add an Internet-capable TV and video components to an existing wireless network, perform any needed software or firmware updates, and configure up to two smart streaming services like Netflix or Pandora. 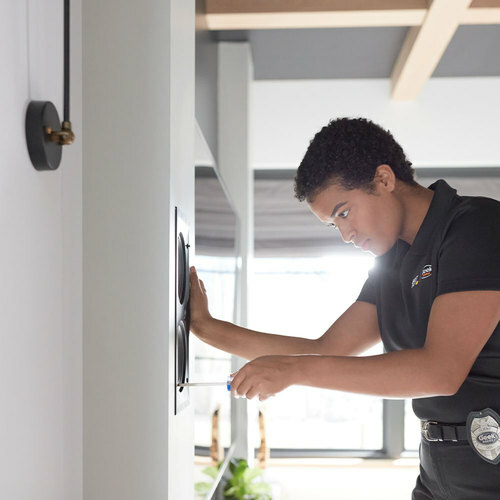 In addition, we will program the remotes that came with your equipment, configure an existing voice control device for basic TV control commands, ensure that all wires and cables are neatly dressed, and make sure the workspace is clean when we finish. 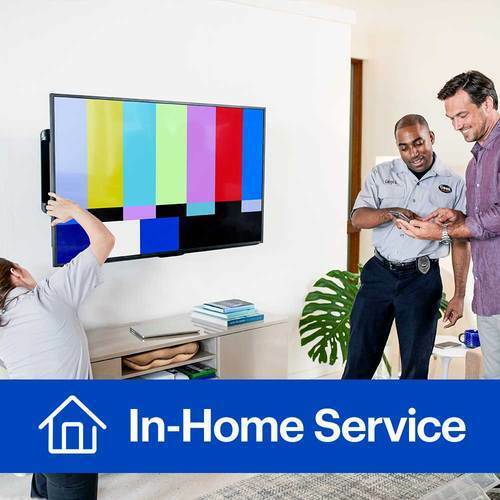 We offer a 90-day limited workmanship warranty on our TV Connect and TV Mounting service. FeaturesBefore we begin When we arrive at your home, we'll discuss the scope of work to ensure that services purchased meet your needs and expectations. If they don't, we'll recommend solutions. 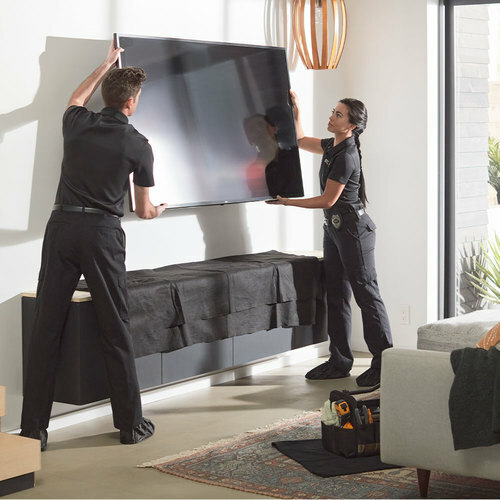 Mounting your TV We'll secure the customer-supplied (or manufacturer-included, if applicable) mounting bracket to a standard-frame wall, and mount and secure a flat-panel TV to the mounting bracket. Running the cables We'll route your in-wall rated cables for A/V devices through a standard-frame wall (within a single stud bay) and connect the TV power cord to an existing, nonconcealed AC power outlet. Setting up your TV We'll connect one new or existing TV to video components (like a cable/satellite box or a DVD/Blu-ray player) in a single room. Connecting to a home network We'll add any Internet-capable TV or video devices in the room to an existing wireless network, and we'll perform any critical software or firmware updates. Setting up peripherals We'll configure up to 2 smart streaming services as needed (Netflix, Pandora, Amazon Video, etc. ), configure an existing voice control device for basic TV control commands, and program a manufacturer-supplied remote control. Professional look We'll make sure that all wires and cables are neatly dressed and that wire ties are used when necessary. Cleaning up After the installation, we'll clean up the work area and remove any packaging your products came in. We'll perform haul-away and recycling if it was previously ordered by the customer and is part of the work order. *Our standard mounting service does not include mounting to any surface other than drywall. To order custom mounting, please call 1-800 Geek Squad (1-800-433-5778). 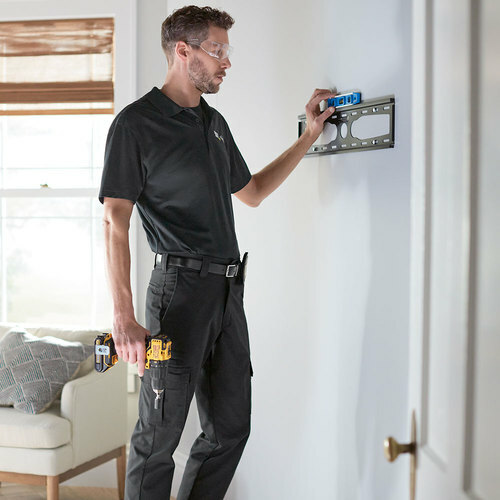 This service does not include drilling access holes, hiding speaker wire or any other types of custom wire runs or moving electrical outlets to new locations. 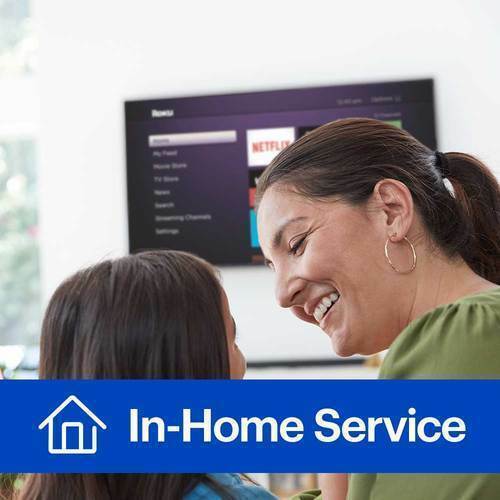 *This service does not include connection of audio components, setup of advanced home theater devices or network setup. 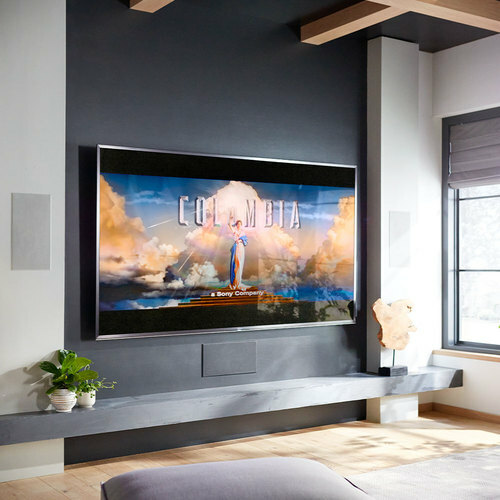 Also not included is voice control setup outside of basic TV functionality, smart light integration, multi-device control commands or harmony remote integration. Voice control setup can be purchased separately. 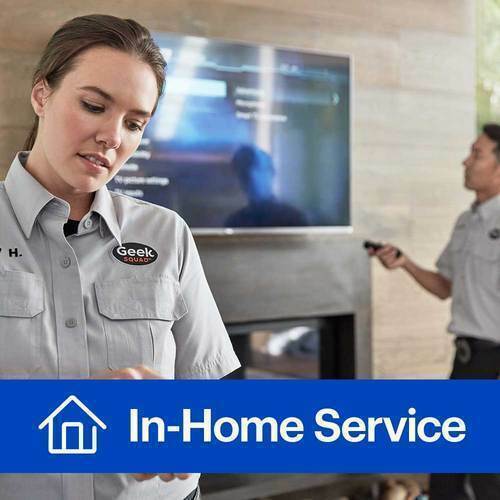 **Should you need to change your appointment date after you've scheduled your service, call 1-800 Geek Squad (1-800-433-5778) to reschedule.